Kathy Troccoli can be booked through this site. Kathy Troccoli entertainment booking site. Kathy Troccoli is available for public concerts and events. Kathy Troccoli can be booked for private events and Kathy Troccoli can be booked for corporate events and meetings through this Kathy Troccoli booking page. Unlike most middle agents that would mark up the performance or appearance fee for Kathy Troccoli, we act as YOUR agent in securing Kathy Troccoli at the best possible price. We go over the rider for Kathy Troccoli and work directly with Kathy Troccoli or the responsible agent for Kathy Troccoli to secure the talent for your event. We become YOUR agent, representing YOU, the buyer. In fact, in most cases we can negotiate for the acquisition of Kathy Troccoli for international dates and newer promoters providing you meet professional requirements. Kathy Troccoli is an award-winning singer, songwriter, speaker and author of numerous books including Spaghetti for the Soul, Am I Not Still God?, Live Like You Mean It, and the bestselling Falling in Love with Jesus series coauthored with Dee Brestin. She has also garnered numerous accolades with record sales reaching two million. Kathy has enjoyed 17 number-one radio hits, 19 Dove Award nominations, 2 Dove Awards, and 3 Grammy nominations. She has 19 recordings to her credit, four of which she produced on her own label KT Records, which includes her beloved worship CD “Draw Me Close”. A highly sought-after conference speaker and singer, Kathy has ministered to millions of women through various national conferences. She was selected in 2003 by the readers of Today's Christian Woman magazine as one of the Most Influential Christian Women in America. In 2007, Kathy Troccoli celebrated 25 years of music and ministry. She holds a combination that is unique in the music and publishing fields. It is the diverse talents and circumstances in Kathy's life that make this possible. She has allowed both successes and trials to shape her over the years, equipping her for a multi-faceted career. Kathy is intelligent, funny, and raw. She bears scars that have produced a powerful and insightful communicator. She has come a long way since her musical debut, but her passion for sharing the Gospel and her life lessons through music has not waned a bit. Kathy is very pleased to be the host of the highly acclaimed annual KT and Friends Caribbean Cruise. She has been affiliated with JRI Cruises for 15 years and is the longest running female host of any Christian cruise in America. Each year, she and JRI work diligently to find the very best lineup of special guests and each year---expectations are surpassed. Kathy continues to travel the world speaking and singing of God's life and love. She partners with James Robison's Life Outreach International and has had the joy in co-laboring in projects which serve the poor in Africa, India and Central America. She is also a regular guest host for the Robisons on Life Today. Book Kathy Troccoli for your next event! 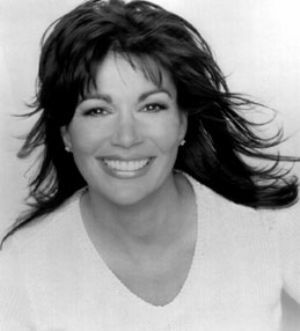 Would you like to have Kathy Troccoli perform at your next corporate event, party or concert? Simply fill out the simple interest form below, and we’ll start the booking process.